Tag Archives for " smoking "
Smoking is one of the commonest types of addiction that hits both women and men equally. Many smokers would like to quit smoking, but they simply can get to the right direction. Since I have had a rich experience with this type of addiction, I consider myself as an adequate person in this field. I will write the five steps I followed in my struggle against the addiction – the ten steps which made me a better person. Planning your quit-smoking-date will not make the addiction problem even bigger – if you quit it right now, the cigarettes will be more precious to you and quitting process will be more elusive. I DO NOT recommend the cold turkey method since it is not effective at all (at least it was not in my case) and causes only a relapse. After you plan your quit-date, have enough cigarettes to cover the period until that D day. Do not keep a single cigarette in your house after your withdrawal date comes. It will come to you in one moment that you could smoke one just for the sake of old times, and you have to start all over again. Cigarettes don’t give you anything but the addiction problem. The false feeling of relaxation when you smoke it is nothing when compared to your health. Admit that you have an addiction and you want to get rid of it. Think positive and look forward – you are losing nothing; instead, you are gaining health, energy, self-respect, freedom, and money. There is no physical pain during withdrawal like it is the case with some other types of addiction (drugs-heroin for example)! The physical nicotine crisis will last few days so you can be cool and even make jokes about it. How cool is to have a cup of coffee without smoking a cigarette, choking yourself with all that smoke? Do not try to ignore thoughts about smoking. Instead, every time you think how it would be great to smoke one, you say to yourself: “Well, it is great that I don’t need to smoke anymore. 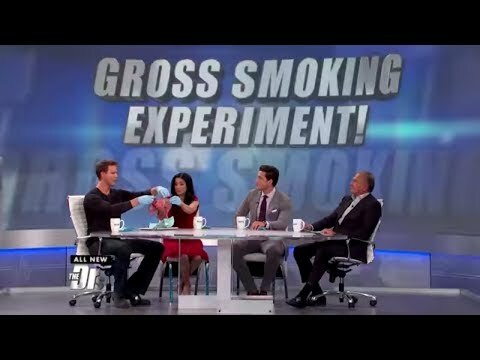 And I don’t want to smoke anymore!” This will boost your self-confidence so much you couldn’t believe it. If you can say this to yourself at this point (without lying), you are half-way done. One of the times people fall back into the cigarette habit is when they are drinking or using drugs. If you are addicted to cigarettes and also have other addictions to drugs or alcohol then visit a rehab. Should You Try Nicotine Patches? 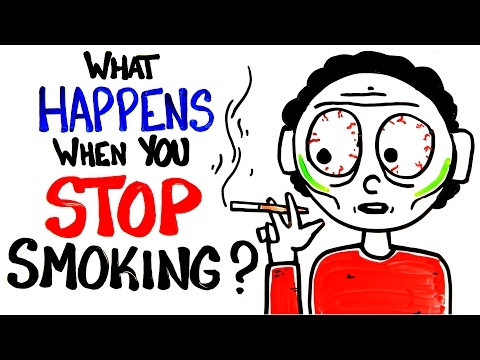 Why Quitting Smoking Is So Hard?